As we are convinced that our customers need more than just a “cloud” service, we provide onsite consultancy with our customers to reach the highest quality standards. We support you in finding the right balance between SAAS, PAAS or local infrastructure. And we help you to implement and maintain your solution. Each customer is unique. Efficiency requires standardized solutions, although IT tools must remain user and business friendly. We support you on the customization of your applications, their integrations, the industrialization of your data flows from Back Office to Reporting. All with a specialized focus on Data Governance. Technique is our passion, customer satisfaction, our priority. We ensure the success of our projects and build lasting relationships with our clients and collaborators, by defining the user requirements, managing deadlines, costs, risks and various project methodologies (Scrum, Lean, Kanban). 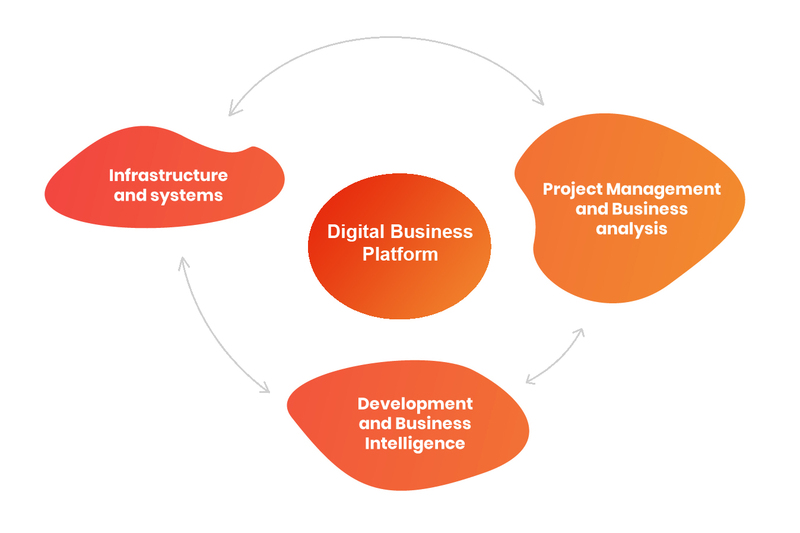 The drive to digital is a powerful transformation, forcing enterprises to reshape the fundamentals of their businesses to defend, extend, create and disrupt the ecosystem. SAP Data Migration and Integration.